A transmission company will be set up with its own independent board. The unbundling of Eskom will begin with the setting up of a transmission company with its own independent board by the middle of the year, according to the 2019 budget tabled by Finance Minister Tito Mboweni on Wednesday. “Priority will be given to the creation of the transmission company by establishing a subsidiary of Eskom Holdings with an independent board appointed by mid-2019,” an annexure to the budget devoted to the restructuring of the company notes. It says the new company would own the entire existing Eskom transmission network – the grid, substations, the national control centre and system operator assets, as well as the utility’s Peaker power stations, which house pumped storage, hydro, and gas turbines. The split was envisioned in government policy documents written 20 years ago but was finally announced by President Cyril Ramaphosa in his state of the nation address earlier this month. 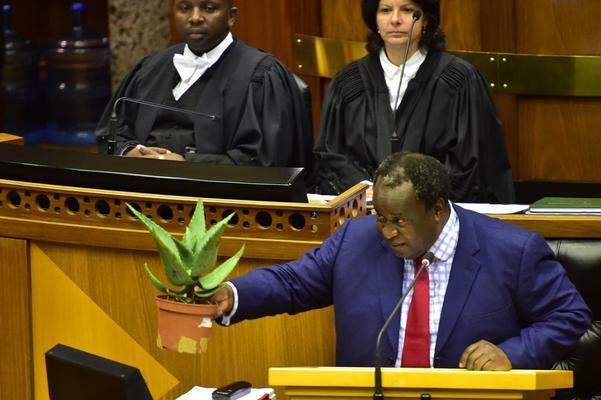 In his budget, Mboweni makes plain that it is a condition for additional, provisional financial support for the ailing utility of R69 billion over the next three years. National Treasury notes in the budget documents that the vast, vertically integrated structure of Eskom at the moment means that a problem experienced in one part of the business threatened the entire company and affected the energy stability of the whole country. An unbundling will “mitigate the risk arising from an Eskom that is ‘too big to fail’ and limit financial contagion from underperforming parts of Eskom’s generation business, where most of the problems originate,” it said. It will also allow the sector to embrace clean technology and diversify generation “across a multitude of producers”. Creating the new transmission company will require a complex set of technicalities, including migrating property rights presently held by Eskom and amending the transmission licence to allow the new entity to buy and sell electricity. It will also require staff to be transferred from Eskom to the new business. Mboweni also made his lifeline to the company – intended to help it service its debt costs – conditional on adherence to a turnaround plan that proposed improving workforce efficiency and rationalising mid-management staff. He said Eskom had committed to saving more than R22 billion per year by 2022 but this excluded cutting its salary bill.